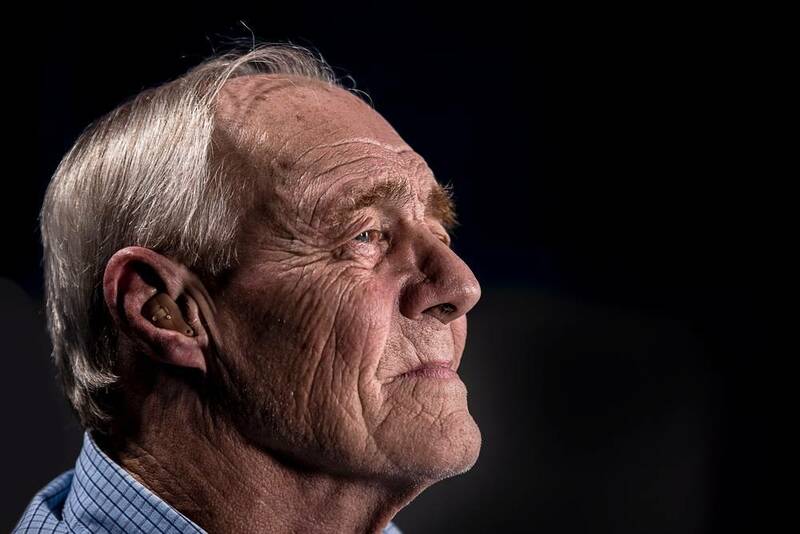 Parkinson’s disease is a degenerative movement disorder that affects motor function through its impact on the brain’s ability to produce dopamine. No one knows the cause, and the disease progresses in several stages. The progression is generally slow and variable. April is Parkinson’s Awareness month, and Arista wants individuals and families to know early signs of this debilitating disease, so we’ve compiled a list of eight of the most common early signs of Parkinson’s disease in hopes of increasing the awareness about how it manifests at the onset. While shaking can be standard after exercise, if you have experienced an injury, or are stressed, noticing a tremor while idle is one of the most common and well-known symptoms of Parkinson’s disease. A tremor can manifest itself as a minor shaking in your hands, fingers, or chin, but it can also emerge in the hand or foot on one side of the body. An early sign of Parkinson’s is the inability to smell certain foods, such as pickles, licorice, or bananas. Having a cold, flu, or being congested can alter your sense of smell, but your sense of smell should return after you are back to full health. If your loss of smell is not associated with symptoms of congestion, think about scheduling an appointment with a healthcare professional. Another early sign of Parkinson’s disease is a sudden change in an individual’s handwriting. Along with a reduction in size, changes might include variances in spacing between letters and words. Due to the alterations in a sufferer’s brain, these individuals have a hard time maintaining control over their fingers and hands. Those who experience Parkinson’s disease may have stiff muscles, meaning the muscles of an inflicted body part are not relaxing while they are at rest. This can result in only a limited degree of motion, which can be a painful symptom for those suffering with this illness. Muscle rigidity usually manifests itself in the limbs, trunk, or neck, but it can occur in other areas of the body, as well. A well-known sign of muscle rigidity is the inability for individuals to rotate their arms as normal. Due to a loss of necessary reflexes, many individuals with Parkinson’s have a hard time sustaining an upright posture. With the capacity to maintain balance decreased, sufferers tend to struggle when turning and standing up straight. Other times, patients can develop an inclination to sway when their bodies are at rest, such as when sitting or lying down. Another manifestation of Parkinson’s disease is a decrease in their speed. Individuals suffering might begin to execute normal tasks, such as changing clothes, eating, showering, and walking, far slower than usual. Many also experience difficulties executing repetitive movements. Specific indicators include shuffling when walking, difficulties tapping fingers, and performing normal daily tasks at a slow rate. These types of signs tend to become more noticeable as Parkinson’s progresses. 25 – 80% of Parkinson’s patients have dementia. Early symptoms include: confusion; tires easily; mood swings; lack of judgement; and memory loss that affects their job. Secondary presentations: cannot be left unsupervised; shorter attention span; become restless with sleep disturbances; incontinence; loss of impulse control and perceptual problems. With end-stage dementia, these symptoms continue and progress until the patient requires constant care. It can be hard to know if a patient with Parkinson’s is depressed. Some typical signs are: loss of interest in previously enjoyed activities; lack of energy; poor sleep; loss of appetite; expressing feelings of worthlessness; being emotional or agitated; and increased confusion. These symptoms mimic some symptoms of other severe medical conditions such as Alzheimer’s, thyroidism, cardiac events or stress. These symptoms may also be seen as just another part of aging; which is not necessarily true. While no single one of these indicates you or your loved ones have any reason to worry, if there is more than one sign, you may want to think about an appointment with your healthcare professional. We take our responsibility to provide competent, experienced in-home senior care seriously. Call us at (419) 754-1897 to schedule a free in-home assessment.